For various reasons, however, the publication of the volume got delayed. It is now being brought out as an independent volume under the title The Story of Ramakrishna Mission: Swami Vivekananda's Vision and Fulfilment. Although, legally and financially, Ramakrishna Mission and Ramakrishna Math are independent institutions, they are inseparably related to each other ideologically and administratively. Moreover, there are several Ramakrishna Math centres which do the work of Ramakrishna Mission such as running hospitals, schools, dispensaries, rural development centres, etc. This means discussions on Ramakrishna Mission have necessarily to include Ramakrishna Math also. Therefore, in the present book the Mission and Math are taken together in all the discussions. Apart from the Introduction, the book has four parts. 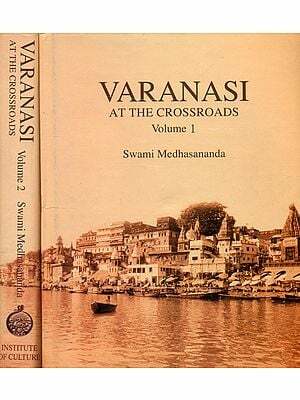 The Introduction shows briefly how all the activities of the Math and Mission are based on Swamiji's understanding of the historical and global significance of Sri Ramakrishna's life and message, and indicates how far the twin institutions have fulfilled Swamiji's three-fold vision. The first part of the book is devoted to the lives and contributions of Sri Ramakrishna, Holy Mother, Swami Vivekananda, and the other disciples of Sri Ramakrishna. The second part gives brief accounts of the main events in the history of Ramakrishna Mission and Math. The third part gives information on the main contributions made by the Mission and Math to human welfare and progress by their services in education, public health, rural development and other fields of social life. The fourth part consists of discussions on various aspects of the Math and Mission's ideology and its practical implications. The book concludes with an Epilogue which brings together the views of eminent people on Ramakrishna Mission. Most of the contributors to this volume are senior monks of Ramakrishna Order or devotees or supporters of Ramakrishna Movement. It is a matter of deep regret that some of these contributors are no longer with us on the physical plane. We particularly miss Revered Swami Bhuteshanandaji and Revered Swami Ranganathanandaji, both past Presidents of Ramakrishna Math and Mission; and Swami Lokeswaranandaji, whose unexpected passing away deprived us of much support. Several people have worked hard in bringing this book to the present shape. Among them special mention should be made of Cecile Guenther (now Pravarajika Shuddhatmaprana of Vedanta Society, Hollywood) who did the copyediting and proof-reading of most of the articles. ·	how, in a world torn by religious, sectarian and ethnic conflicts, Ramakrishna Mission centres remains as oases of peace, harmony and spiritual light. This is the story of Ramakrishna Mission. At the dawn of the third Millennium, Ramakrishna Mission reviews the story of its 109 years of loving service to humanity or, in the words of Swami Vivekananda, service to that God who by the ignorant is called man. The book is divided into her parts under the titles: Sources of Inspiration, Historical Perspectives, Contributions of Ramakrishna Math and Ramakrishna Mission, and Ideological Perspectives. As an epilogue is added the last article, World Thinkers on Ramakrishna Movement. This is the story of Ramakrishna Mission. At the dawn of the third millennium, Ramakrishna Mission reviews the story of its 109 years of loving service to humanity or, in the words of Swami Vivekananda, service 'to that God who by ignorant is called man'. Since the Ramakrishna Mission is inseparably linked to Ramakrishna Math, this is also the story of Ramakrishna Math. And, since the message of Sri Ramakrishna has been spreading in ever-widening circles through and beyond the two institutions mentioned above, this is the story of Ramakrishna Movement as well. This story of Ramakrishna Mission, Math and Movement is not to be taken as mere history. History deals with the outer happening of men and institutions, whereas 'story' deals with the inner dynamics of movement. It is the unfolding of a Truth, a Power, through men and institutions. This was what Sri Ramakrishna, who is regarded as the Avatar of the present age by millions of people, did. He come with a message, a new set of ideas suited to the needs of the present age. He first applied it in his own life and changed it with power. He trained a group of young disciple to be the torchbearers of his message, and through them laid the foundation of a new monastic Order, which came to be known later as the Ramakrishna Math. As in a hydroelectric project electricity is first generated by giant turbines and is then transmitted to different places through high-tension power mains, so also the spiritual power generated by Sri Ramakrishna through his unprecedented sadhanas and prayers got transmitted to different parts of India and the world through his direct disciples. Subsequently, through the disciples of those direct disciples and through successive generations of disciples, the message and power of Sri Ramakrishna have been spreading in ever-widening circles to form what may be termed the Ramakrishna Movement. The story of Ramakrishna Math began when Sri Ramakrishna climbed to the terrace of the house in Dakshineswar and called out: 'O my children, wherever you are, come to me. My heart yearns to see you.' This happened after he had competed the practice of various spiritual disciplines and people had started coming to see him. In response to that mystic call, young spiritual seekers, most of whom were studying in school or college, began to gather around him. Under his guidance they practiced intense spiritual disciples. During Sri Ramakrishna's last illness, these young men nursed him bay and night. He instilled in their minds the spirit of monastic renunciation and also brotherly love for one another. Among them the Master earmarked Narendra (who later became the world famous Swami Vivekananda) to be the leader of the group. After the Master's passing in August 1886, these young disciples started living in a dilapidated house at Baranagore in north Calcutta. A few months later, they took the formal vows of sannyasa, assumed new names, and thus formed a new monastic Order which came to be known later as Ramakrishna Math. The monastery was moved six years later to another place in Alambazar, and from there it was finally moved to its own permanent premises at Belur in Howrah District in 1898. It was registered as a Trust in 1899, and since then it is being administered by a Board of Trustees consisting of senior monks of Ramakrishna Order. Unlike the Ramakrishna Math which is a purely monastic Order, the Ramakrishna Mission is a social service society in which the monks of Ramakrishna Math and lay supporters cooperate in conducting different forms of social service such as running schools, hospitals, rural development, etc. It was founded by Swami Vivekananda on 1 May 1897, soon after his return from the West. The original idea probably was that the Mission would be managed by lay devotee. But since this did not materialize, owing to the unfavourable so socio-economical condition of the society, the monks of Ramakrishna Order took over the administration of the Mission also. The Ramakrishna Mission was registered as a charitable Society in 1909.